Recently, I discovered how much I love cabbage! Last week I sautéed it with garlic and butter; it came out both crunchy and tender and was a delicious addition inside our chicken tacos. But let’s talk about RAW cabbage. I mean, it’s good; it’s even pretty! So vibrant in color. But it needs a little help in the “flavor department”. All you gotta do is put it together with some other tasty things, and you can have a killer spring salad. 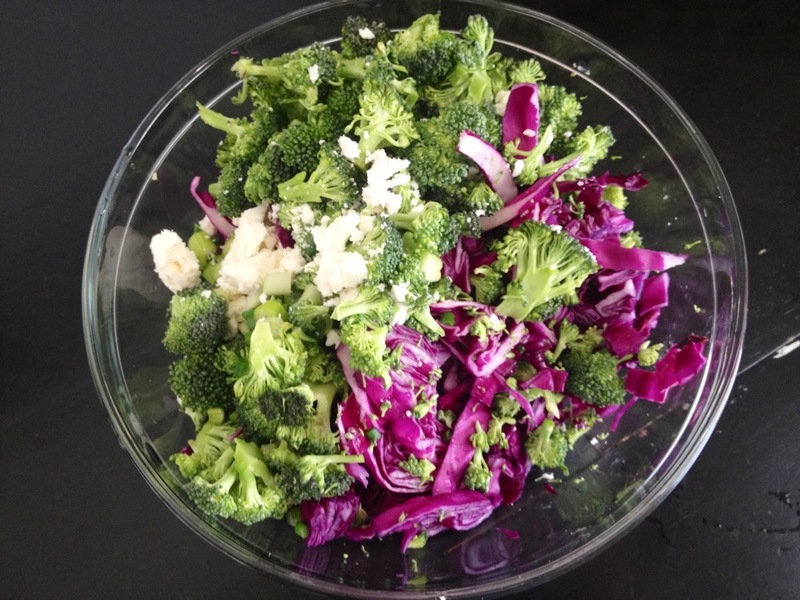 Mix your vegetables, add portion of dressing (to your liking), then crumble feta on top and mix it all together. 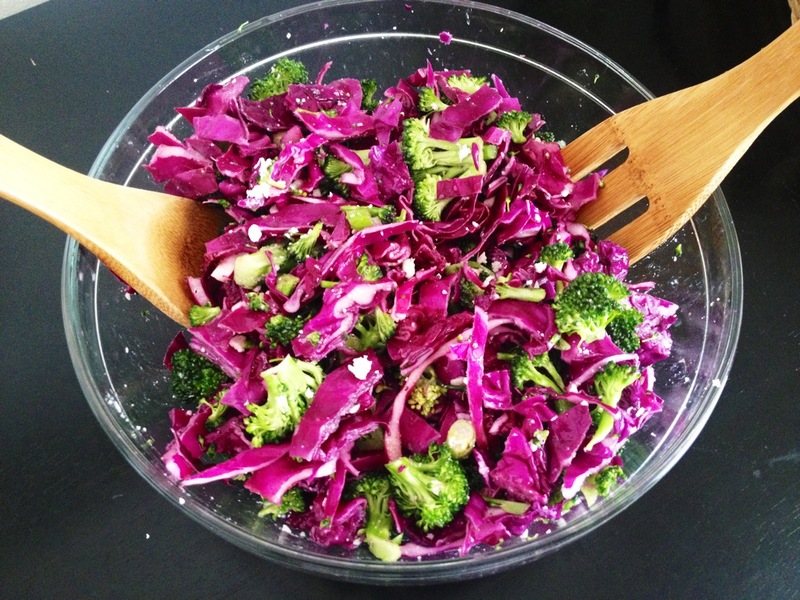 You can make this for a light lunch, a side dish at a dinner party, or prepare it for BBQ’s! Oooo I cannot WAIT for summer.